There is no doubt Mobile phones have become our lifeline and living without them is nearly impossible. Smartphones are gearing up for the high specs which are making them smarter but vulnerable to power consumption. Power Banks are becoming popular these days. Since power sockets will not be available in all the places you need a portable power supply and power bank is the best solution to that. Power Banks are specially designed devices that contain a rechargeable battery fitted with a special case and it allows you to store electric power. Later you can use this power to charge your smartphones. 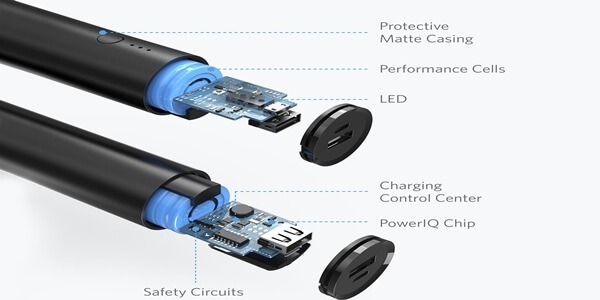 It can consist single or multiple batteries connected to the special circuit which control the flow of current so your smartphone doesn’t get damaged. 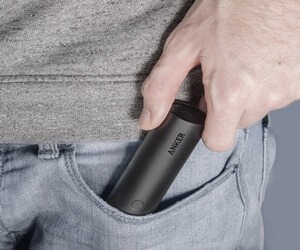 Why You Should Always Have a Power Bank With You? Most of the people are addicted to music and living without music is a tough task especially for youngsters. Whether they are traveling and working out they need Music. Many peoples are addicted movies and videos and streaming online videos consumes more battery. But if you have the portable source of power you don’t need to worry. There are some people who are addicted to taking the selfies and uploading it to social media. For that kind of peoples, power bank is necessary. How to Choose the Best Power Banks? The first thing you should consider is battery capacity. Go for higher battery capacity because the bigger it is better it will be. Your power bank’s battery capacity should be large enough charge your mobile battery at least 2-3 times completely. What is Power Banks mAh? mAh stands for Milli Ampere-Hour. mAh is unit of electric charge which simply represents the capacity of the battery. For example, 20000mAh power banks can hold up to 20000mAh charge at a time. Another most important thing you need to consider is power input & output. Power bank with higher power input gets charged faster as compared to the low power input. There are some Power Banks which have USB charging option that make them slow in charging. If you want to charge your smartphones at the faster rate you should go with portable chargers that have high power output. But keep in mind power output should be within the range specified by your smartphone provider if it’s not then it can damage your phone’s battery. Most of the people don’t like heavy and bulky kinds of stuff. So it should be light in weight and small enough to take it anywhere. I prefer things which get fit in my pocket easily. So for me, I will go with the portable one. More the number of ports more devices can be charged at the same time. Also in case one USB port get damaged you can use another. So go with Power bank that provides at least 2-3 USB ports.